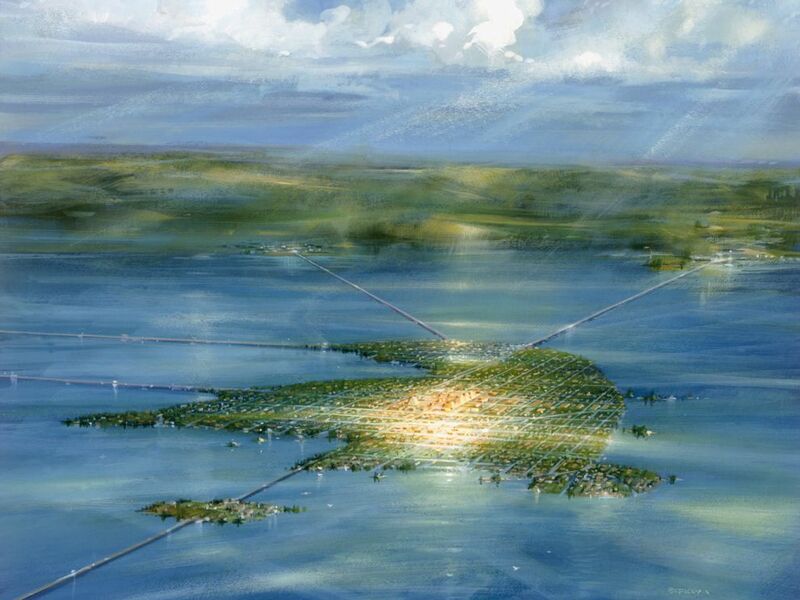 The ancient Aztec capital of Tenochtitlan, depicted here in a painting, was located on an island in the middle of Lake Texcoco. The island and the entire lake basin of Lake Texcoco is now occupied by Mexico City. Encyclopedic entry. North America benefits greatly from its fertile soils, plentiful freshwater, oil and mineral deposits, and forests.